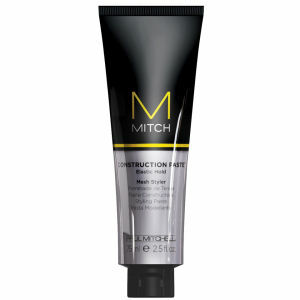 Mitch Construction Paste (75ml) provides flexible, workable texture that allows you to create messy, undone styles. It forms and separates your locks so you can switch up your style throughout the day, without flaking or leaving a crunchy residue in your hair. - L.M. I usually use a gum, but this made a nice change. The paste went into my hair easily and, although it held the style all day, allowed some movement. It's not greasy, but does create a more 'slick' look: think more Leonardo DiCaprio than sweaty tramp. It's not my usual, but I'll definitely be using this more! Really great product, holds well when rubbed in to damp hair and blow dried. Holds well but lets you re-style throughout the day. Only needed the tiniest amount to rub though all my hair. 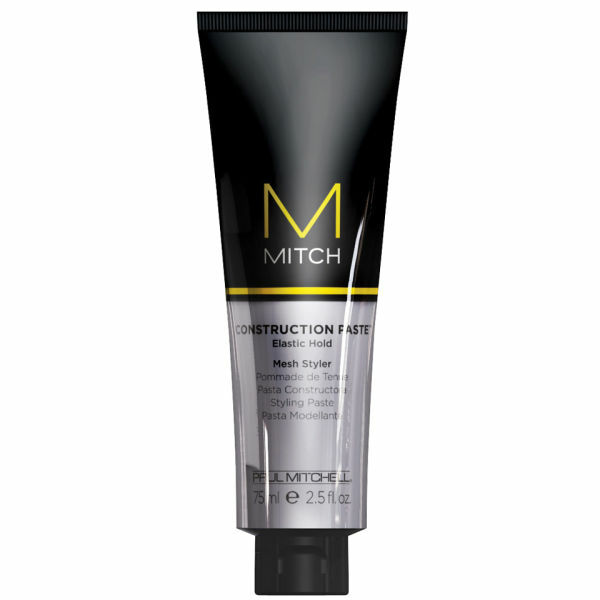 It's not too heavy so doesn't leave a load of residue and what little it does is easily washed out with the Heavy Hitter shampoo.